A Fat Quarter Bundle - QuiltHome style! Our angels have done it again! This product is our own take on the fat quarter bundle...whether stash building, quilting, or an extra special gift to give to a friend, this bundle is beautifully packaged just for you! 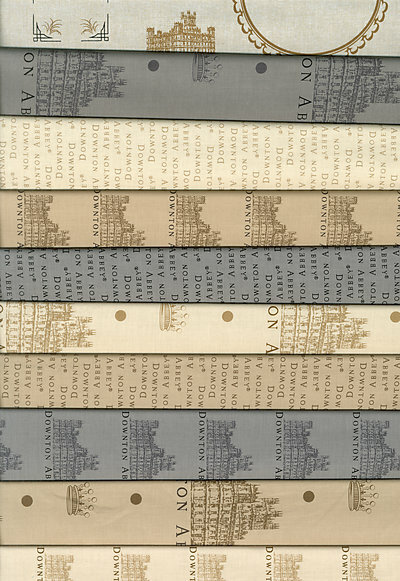 This Downton Abbey® - LOGOS AND LABELS Fat Quarter bundle includes all 9 fat quarters in the Downton Abbey® - LOGOS AND LABELS collection, plus the 11″ X 22″ Quilt Label print featuring twelve different labels.